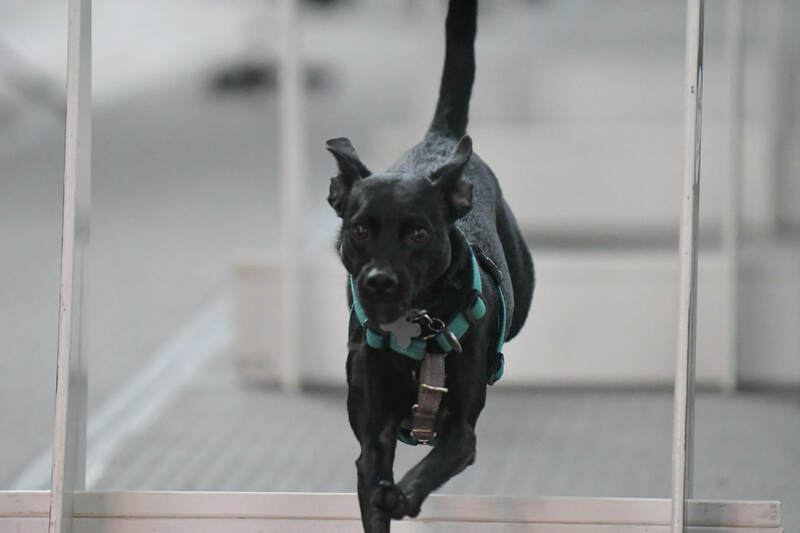 Flyball is a high-speed, action-packed sport that combines speed, agility, retrieval skills, and teamwork. Dogs jump over hurdles, catch a ball from a spring-loaded box, and return over the jumps in a matter of seconds. 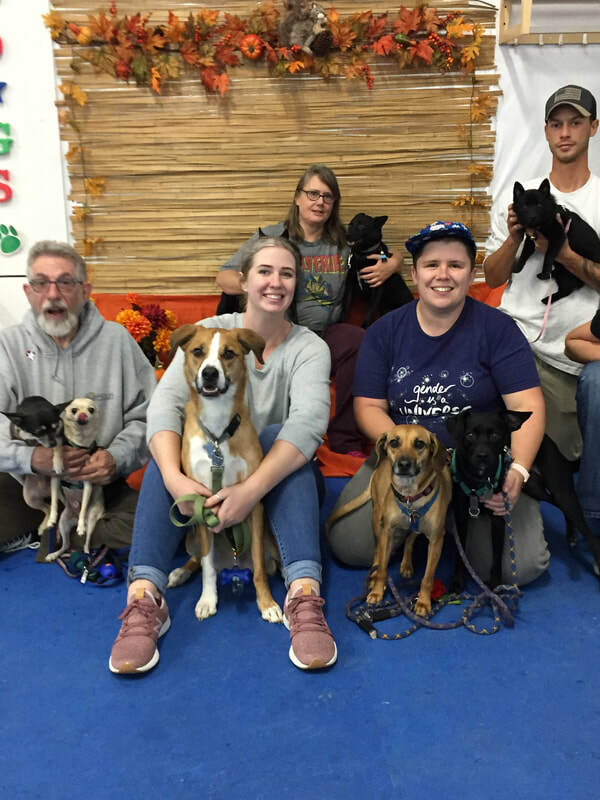 Flyball is best explained with video. In this 2014 tournament, X-Fido Pi (left lane, second dog to run) earns his Onyx title - 20,000 points! 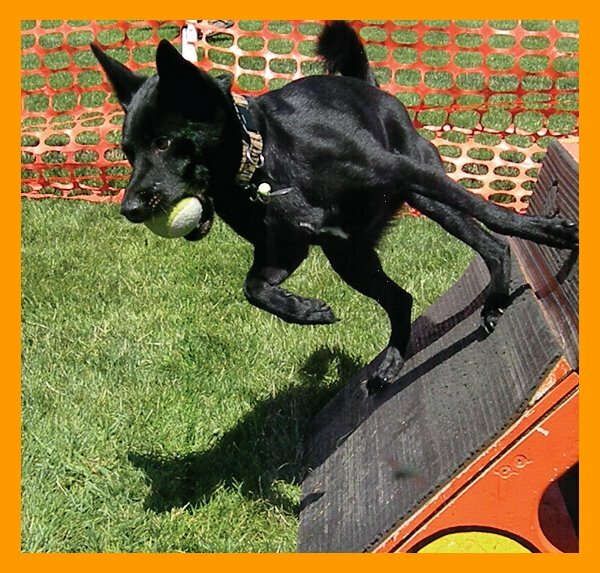 Flyball is a dog sport in which two teams of dogs race each other over a set of hurdles on a 51 foot long course. At the end of the hurdles is a flyball box - a spring-loaded platform that launches a ball when triggered. 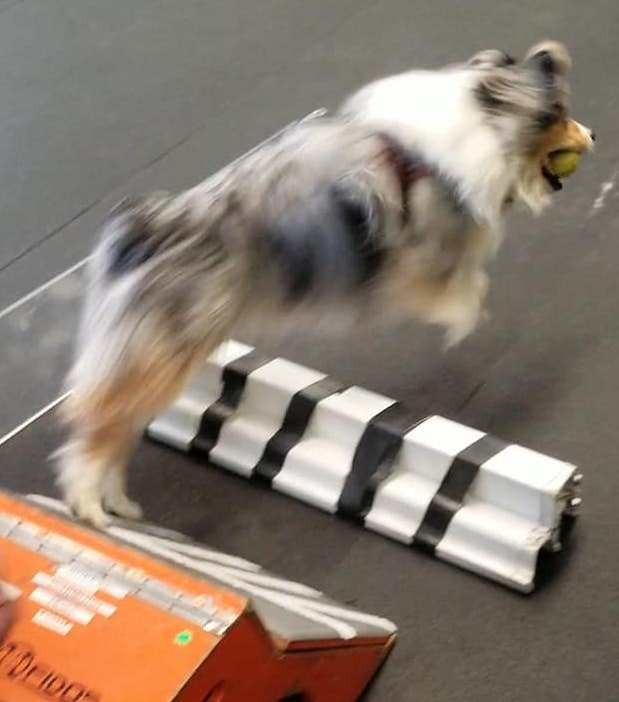 The dog must quickly perform a box turn, jumping on the angled platform and pivoting, while catching the ball. The dog then returns over the jumps with the ball. Each team is made up of four dogs who run in a relay - once the first dog crosses the finish line, the second dog runs, and so forth. The first team who has all four dogs complete their run without error wins the race.